In 1871 William W. Pancoast purchased the new James H. Albro Block and the First National Bank Company moved their offices from the Empire Block at #103 West Liberty Street in 1872. 1874 - In the good old days, as well as today, there were dishonest Bankers abroad in the land, as noted in the following heading in the Gazette. Suspension of the First National Bank of Medina Another Dishonest Bank Cashier," etc. The National bank examiner came on a regular official visit. He found the capital of the bank dissipated to about 50 per cent by the dishonesty of William W. Pancoast. The directors not being practical business men failed to detect his practices till about Jan. 1. Since then they had been persuading him to restore to the bank what he had stolen. His bank stock of 825,000 was paid for out of his stealing. 1. Herbert H. Brainard removed his jewelry business from the Empire block after the financial failure of the First National Bank Company in 1874. 2. He bought gold coins at bank and snipped them up for gold chains. 3. In 1880, Mr. O. M. Jackson has opened a shop in the rear room of H. H. Brainard’s jewelry store for making picture frames and has on hand a fine assortment of moldings. 4. Herbert H. Brainard was elected the first President of the Medina Circulating Library Association in 1878, perhaps because he agreed to store the seventy library books in his jewelry store. 4. In 1897, H. H. Brainard jewelry store has new large plate glass windows and vestibule doorway. 5. H. H. Brainard moved his jewelry business to #4 Public Square in 1909 and the store was taken over by the George F.. High family. 1. George F. High has just put into his jewelry store a magnificent new safe. The Diebold fire and burglar proof safe was made expressly to order and arranged for the accommodations of his goods. The safe is 5 feet high, 41 inches wide and 36 inches deep. It is a beauty. 2. George F. High elegant clock in front of this business is at night lighted by electric lights in 1911. He had to pass a city ordinance in 1912 for the clock. 3. Prior to 1870, a well and watering trough was where High’s clock is now in 1911. 4. George F. High established a wireless outfit to receive time two times a day from Arlington, Va. in 1915. 1. A new walnut paneled show window was installed at High and Son Jewelry Store and the store will undergo other modern and attractive improvements in 1926. Sidney High, High’s Jewelry and Robert Kiefer, High’s Office Supply Co.
1. Office supplies were on the first floor in 1942. They excavated the cellar in 1942 for a photographic and book storeroom. Now all business buildings on west side of the Public Square have basements. 1. Sidney F. High sold jewelry business to Mrs. Barbara Harris operator of Little General Store in Medina. Laplaca Jewelers, Justin Garcia and Vincent Garcia, Owners, (200105-2018) This store was occupied by Brainard and High Jewelry for a consecutive 104 years. 1. Father John A. Albro became Infirmary Director in 1957. He died in 1859 in spite of a cancer operation by Dr. Firestone in 1859. 2. Son James H. Albro was a stock dealer and broker from 1860 to 1873 and 1st President of Old Phoenix Bank. 1. William Sanders and Frank Bowman have bought out the stove and tin-ware establishment of Charles. E. Bostwick in 1870. Bostwick building destroyed in the 1870 village fire and was rebuilt in 1872. 1. Mary Bradley Albro wife of John Alberg Albro and proprietor died in 1880 and the dry goods business was acquired by Lewis and Nichols. 1. Prior to embarking in this business, Mr. Nichols was sheriff of Medina County for two terms having been elected on the Republican ticket when he was a resident of Litchfield. 1. In the 1940’s The Medina Sentinel was printing memory letters from across the land. Dr. George Hays wrote from Indiana about his boyhood in Medina and recounted the square as it was in the later 1880’s. 3. Mr. Thomas Ferriman Sr purchased the interest of Mr. Lewis of the Lewis and Nichols clothing firm in 1910. 1. Thomas Ferriman Sr. passed away in 1919 and Thomas Ferriman Jr. bought out Myron Holden Ferriman his brother, interest in 1920, but firm will still be called Ferriman and Son. 2. However, Thomas Jr. didn’t really want to work in a clothing store. He went out west for a short time, but came back and was killed in a car accident in 1924. 3. Myron Holden Ferriman decided to move to Artesia, New Mexico and the clothing business was sold by Mary Ferriman to A. S. Romig in 1925. 1A $10,000 fire in 1929 closed the midway of the west main block in 1929. 2. The building was owned by Mary A. Ferriman of San Francisco. 3. The land at the rear of Ferriman store was bought by Dawson Longacre in 1929. 1. The national brand Kroger Company signed a rent agreement for $235 per month for 5 years. The 2nd floor rent is $250 month for 5 yrs, then $275 for five more years. Kroger leases Ferriman Block in 1929. 2. A new modern store front was installed in 1934. 1. Paul Tucker bought High’s Office Supply from Robert Kiefer in 1956 and moved the business next door to the Ferriman Block for an expanded sales room and office equipment display space. 2. High’s Office Supply moved to the Longacre Block at #18 West Public Square in 1987. 1. Gary Quesada, a Medina native, opened the restaurant business in 1987. He renovated the old office supply store to give it a nostalgic turn-of-the-century feel inside and out. 2. 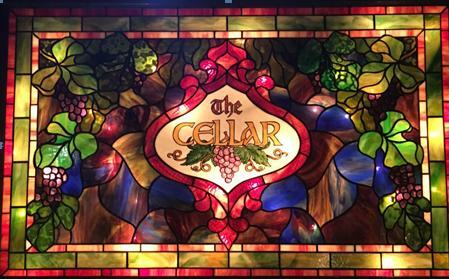 Main Street Cafe retains its original Victorian feel while also displaying the owner's own creativity. It still continues to be a gathering place in the community. 3. Main Street Cafe also is an important establishment in the city of Medina. Every summer, Main Street Cafe hosts Rally in the Alley, a party in the back alley of the west side of the square. 4. Thomas Brotherton, a chef for many years in the kitchen of Main Street Café by coincidence was the grandson of Thomas Ferriman Jr. proprietor with his Uncle in Ferriman and Son Clothing Store from 1910-1924 in this building before his premature death in an automobile accident. 1. 17 Public Square Restaurant and Bar is a worthy replacement to the 30 year stint by Main Street Café. 2. Ryan Kasson, General Manager and Chef grew up in Medina and went to Medina High School, as did owners Ryan and Mia Rose. 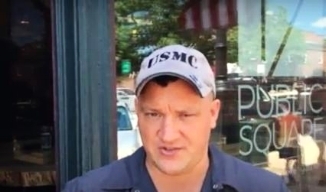 He spent seven years in the Marines as a rifleman before going to culinary school. He worked for 11 years with Michael Symon's restaurants: He cooked at Lola, helped open B Spot, and was the pit master at Mabel's BBQ. 3. The space has its own rustic feel, with raw brick walls from the 1870s and stone work from the 1840s downstairs. The main dining room seats 90, while the rathskeller-like basement bar and dining space holds about 40. That area, while available for private events, needs some refurbishing. 4. There's nice use of black walnut wood and well-placed art throughout the space, leading to a comfortable feel to match its menu, which does not overwhelm. This Store was occupied as a Clothing and Dry Goods store for a consecutive 85 years. Leland Longacre leases the 2nd floor of the Ferriman Block for show rooms from 1953 to 1985. 1. In 1836, James H. Albro moved to Medina, where his father embarked in mercantile business. James H. assisted in the store until he was 22 years of age, when he bought his father's business from the savings of his wages and going in debt for a small balance. 1. He remained two years in Medina then moved his store to Seville. 2. He continued there two years in company with his father and grandfather as J. Albro and Company, during which time his father built a large frame store where Mr. Boult's store now stands in Medina. 1. On the completion of this house in 1846, the Seville store was moved to this place, and the firm of J. Albro and Son was formed and continued for twelve years, when James H. again bought out his father. 1. Two years later, he sold out and engaged in other lines of business viz., dealing in sheep brokering, etc. 2. The business of broker was continued until 1873, when, in company with Hon. H. G. Blake, he organized the Phoenix National Bank and became the first President of the Bank. 1. A great portion of the room will be filled with tea as it is well understood that Mr. Mattson has the largest trade in the County. 2. Mattison purchased the building in 1866 from Sarah Hatch that was totally destroyed in the 1870 fire. 3. G. A. L. Boult purchased the Lot on which the destroyed building formerly stood from A. Mattison on May 30 1870. 1. Boult moved to the Boult Block from the Phoenix Block after the 1870 village fire. 2. Three 40’ x 60’ panes of glass in Boult’s new store were broken and defective; quite a serious loss costing $16.00 each in 1871. 1. The store of Munson and Son is 160 feet in depth and is divided into three separate and distinct departments. There is the sales room devoted to shelf hardware, crockery and glass on the north side and on the south side the Durant oil and gas stoves and ranges, with the work shop in the rear. 2. Munson hardware business moved to #45 South Side Public Square in 1894. 1. Branch and Longacre bought George Boult’s large store on the west side of square for $9,500. A large warehouse 33’ x 170’ is at the rear in a cast concrete block building purchased for $1,500 in 1907. 1. 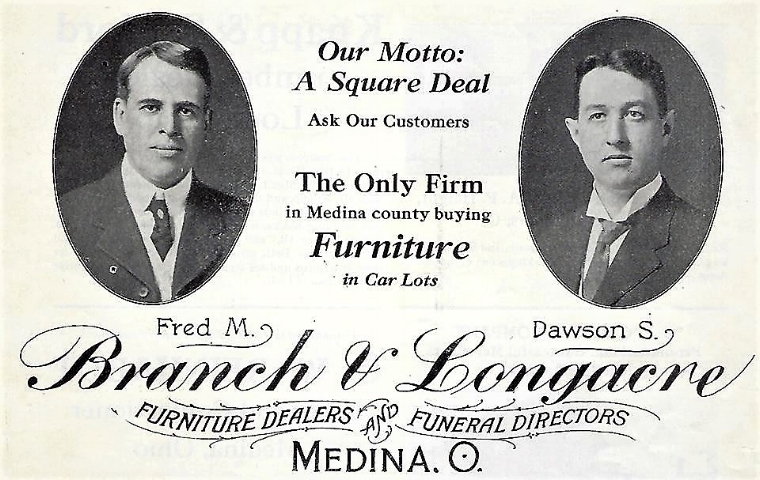 Fred Branch entered the real estate business in addition to maintain his undertaking business and Dawson Longacre purchased his interest in the furniture store. 1. An extensive fire in 1945 destroyed all the stock and interior of the store. Longacre rebuilt and reopened in March of 1945. 1. High’s Office Supply started on the first floor of the jewelry store in 1942. 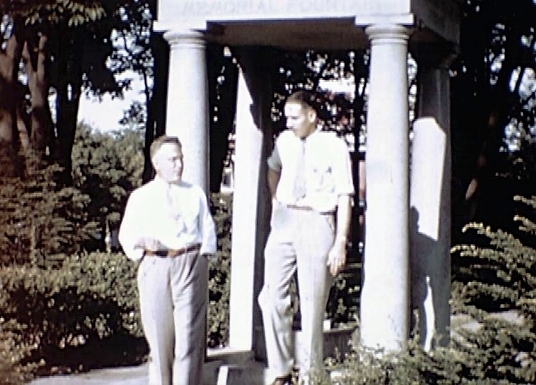 The cellar was excavated in 1942 for photographic and a book storeroom and it officially became High’s Office Supply with Robert Kiefer as Manager in 1943; 56 years on the Public Square in Medina. 1. Owned and operated by Executive Chef Lawrence Suen and his family, the House of Hunan offers customers the exotic varied flavors of Asia and more. This store was occupied as The Branch or Longacre Furniture Store for a consecutive 91 years. 1. H. S. Ross at old Gray and Ross stand, remodeled a practically new stairway with partitions open and more lighter in 1901. 1. Bradley bought the hardware stock of H. W. Brown in the fall of 1861. 1. Wells had a small room in the Bradley and Son Hardware Store in 1870. 2. Wells was able to save some jewelry and goods in the 1870 village fire. 3. G. A. L. Boult purchased the Lot from S. H. Bradley on June 30, 1870 on which the Union Block was rebuilt. 1. Albert L. Beach, the shoe merchant, has sold his stock and store to the Yoder Brothers of Wadsworth, who will take possession about the 1st of August 1888. The new firm will be composed of the brothers Peter, Noah N. and John Yoder, who are known to most of our readers as enterprising and energetic young business men. 1. 1891 - "One of the notable business changes in Medina is that of the new partnership formed by P. N. Yoder and L. A. Lewis of the firm of Foskett and Lewis. Yoder and Lewis will be the style of the new firm. Harry, son of L. A. Lewis, who has been with Yoder Brothers for some time, will remain a salesman in the store. The store will be removed to the Smith Block next to the Corner Drug store in a few days. 1. Kimmel has a large stock of pianos, organs, general instruments and sheet music in his studio. The studio room occupied by him is a large one, being 25’ x 100'. 2. Among his leading makes of pianos are the Bradbury, Franklin, Webster and Howard. 3. Kimmel is also agent for the famous New Home Sewing Machine, the Columbia Graphophone and the Estery organ all of which he sells for cash or on the installment plan. 4. Mr. Kimmel spends considerable amount of his time traveling in the interests of his musical goods. 1. In 1894, Kimmel added a grocery and bakery business to his establishment and fitted up a neat and attractive dining room in the rear, where meals and lunches are served to order. 2. A wagon is kept constantly on the road delivering goods from the bakery and grocery departments. 1. 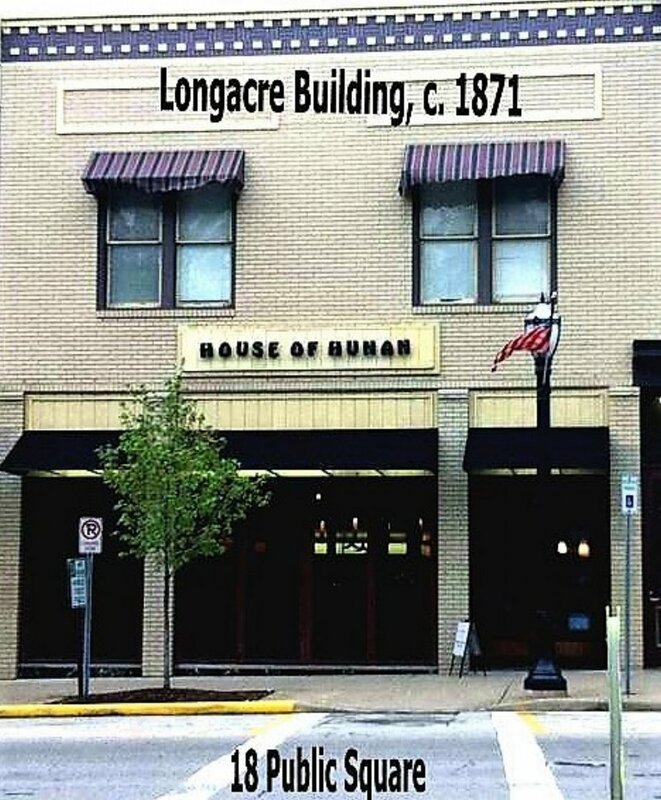 In 1905 Dan R. Pelton has bought the interest of H. R. Hunsberger. Mr. Pelton has been a clerk in the Warner store for a number of years and is a young man of good business ability. 1. Fayette Foote sold his interest in Foote and Pelton to Hobart Edwards in 1906. 1. Hobart Edwards got his start as a grocer with Dan Pelton. 2. Dan Pelton moved his Grocery Store to #115 North Public Square in 1916. 1. The Hobart Edwards store sold out to Pelton and opened his store in 1916 and sold it in 1917 to Bird and Earl Thatcher. 1. Merle Fuller was a cog in the operation of the store as the baker for 50 years with the assistance of his wife, Madeline. 2. Rickard’s introduced the old Union Delivery Service which carried groceries from the town’s stores to customer’s front doors, at first in horse drawn wagons. 1. Rickard Finer Food Store, one of only three remaining food markets in the uptown area and one of the oldest established businesses on the square will close its doors August 30, 1975. This store was occupied as a Grocery Store for a consecutive 75 years. 1. Washington Properties, Inc. purchased the Union Block comprising #23 and #21 Public Square in 1993. 1. Honey Bee Bakery is locally owned and specializes in bakery made from scratch! We offer gooey cookies and brownies, decadent French macaroons and fresh made bread. We also create beautiful wedding and special event cakes!